UPDATED | DAB digital radio listeners in the East Riding of Yorkshire and parts of North Lincolnshire will need to retune their digital radios on the 1st September following a frequency change affecting local services. It's part of a national scheme to boost coverage of local stations on DAB, with frequency changes required to allow local multiplexes to increase their coverage without interfering with DAB services. Other locations including Liverpool, Cardiff and Brighton have already had similar changes. Local stations affected include the DAB versions of BBC Radio Humberside, Capital Yorkshire and the three Vikings: Viking FM, Viking 2, Viking 3, plus semi-national DAB stations including Kiss Fresh and Absolute Radio 90s. The changes will commence after 10pm on Wednesday 31st August, when services will be removed from their existing frequency. By 6am on Thursday 1st September, services will have resumed on their new frequency, meaning listeners will need to retune and reset their presets after this time. The Humberside local DAB multiplex will move from VHF Block 11B to 10D. Currently only broadcast from three transmitters - at Bridlington, Cave Wold and Grimsby. Four new transmitters will be switched on at High Hunsley, Hull Clough Road, Patrington and Garrowby Hill, improving and expanding DAB coverage for 146,000 listeners, with a fifth transmitter launching in Scunthorpe in October, improving and expanding DAB coverage for a further 74,000 listeners. In total 220,000 listeners in Scunthorpe, Goole, Bubwith, Market Weighton and Stamford Bridge will benefit from improved DAB coverage. Meanwhile, multiplex operator MuxCo is to launch a new transmitter at High Hunsley, improving reception of the Lincolnshire DAB service in the area. Retune after 6am on 1st September 2016. Caution: If you've set your DAB clock radio to one of the affected stations, it won't be waking you up on the 1st September! The old frequency will fall silent after 10pm 31st August. Work at transmitter sites overnight from 31st August to 1st September may result in temporary disruption to other DAB services, including BBC National DAB stations, although they are not changing frequency. BBC Radio Humberside and Viking's FM service continues as normal. 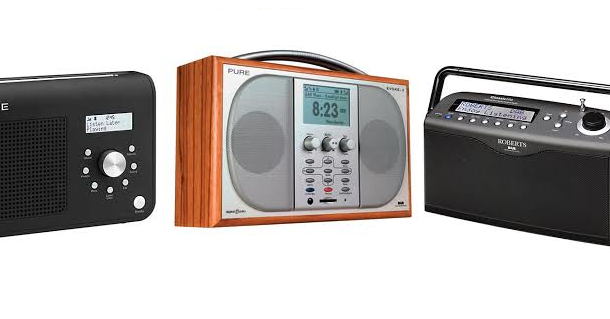 More information about retuning DAB radios is available at http://www.getdigitalradio.com/retune. Some older DAB radios, especially those typically available in the shops over a decade ago, may need to go through a "full scan" or "rest of world scan", as the new frequency from 1st September is outside of the range that was originally used for DAB a decade ago. A small minority of older DAB radios, such as the Goodmans GSR80 can't receive the new DAB frequencies.